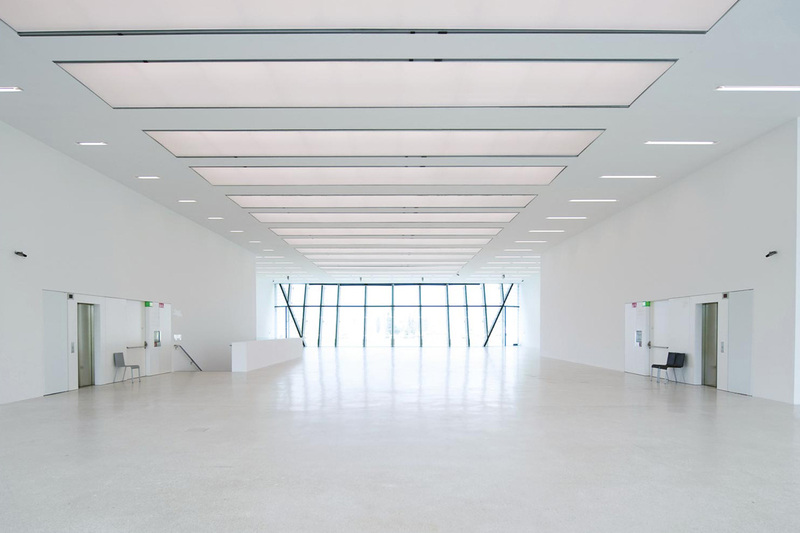 On 24 May 2008 Museion opened its new venue designed by the architecture firm KSV – Krueger, Schuberth, Vandreike of Berlino. 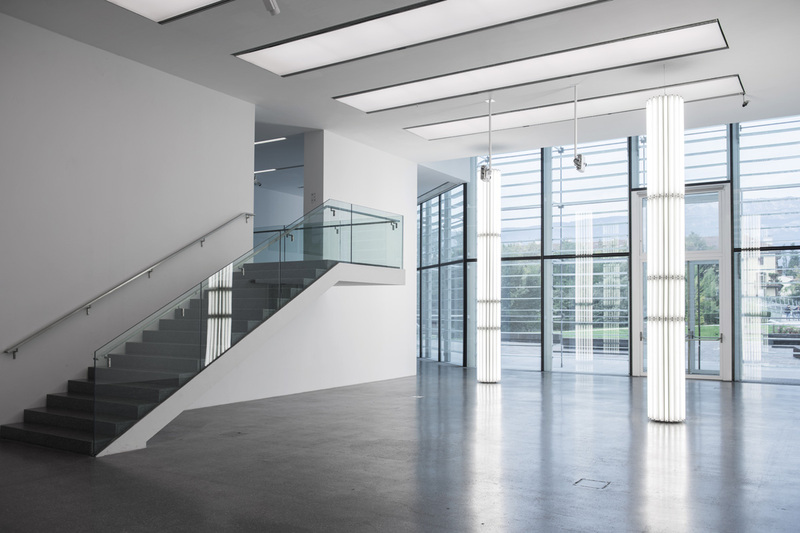 The new Museion is an open, fluid museum that combines the flexibility and open approach of an artistic workshop with the characteristics of a classic gallery and exhibition venue. The building is a cube measuring 54 metres long, 25 metres high and 23 metres wide, with transparent front and rear façades that forge a dialogue between the historic centre and the new city, and the grassy banks of the Talvera river. The building is a physical and symbolic link between the two parts of the city. 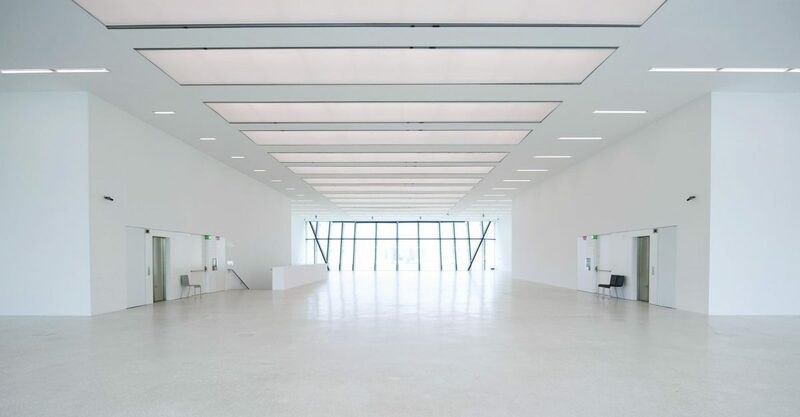 The space inside is characterised by fluidity and openness: the different “levels of art” – the areas for exhibitions and events, the educational workshops, the café and shop – are not strictly separated but in close communication. A flexible system of mobile partitions means that these spaces can be opened up when necessary. The studio space and workshops for artists are hosted in a separate building in the north of the grounds, and the area between the main building and the studio house functions as an exhibition site and space for action for both. The bridges over the Talvera river are an integral part of the museum’s architecture. With their two parallel, oscillating curves, they are a sculpture in space, with the metal and glass used reflecting the main elements of the museum building. Contrasting with the square shape of the museum, the wavy lines convey a playful approach to the linear forms of the surrounding landscape. Museion Passage is the space on the ground floor of the museum used for Museion’s programme of content-related events, as well as events and festivals in collaboration with other institutions. Additionally, the space can be rented for private functions and is available free-of-charge (with exception of the costs of a technician that must be present) during opening hours and on Wednesday evenings until 11pm by non-profit cultural associations, thanks to the support of Bolzano City Council. The space was designed by designer Martino Gamper (Merano, 1971), who developed a series of elements, including larchwood benches and colourful plywood seats, not only to host events, but also to offer the city a place to meet and spend time in and offer visitors a space to relax in and to gather more in-depth information on Museion and its activities. Gamper’s concept is above all a vision, a new mindset: Museion Passage is a public area inside the museum, a “covered square” for everyone to use and enjoy. The second and third floors are generally used for exhibiting works from the Museion collection on a rotation basis, related to defined themes. 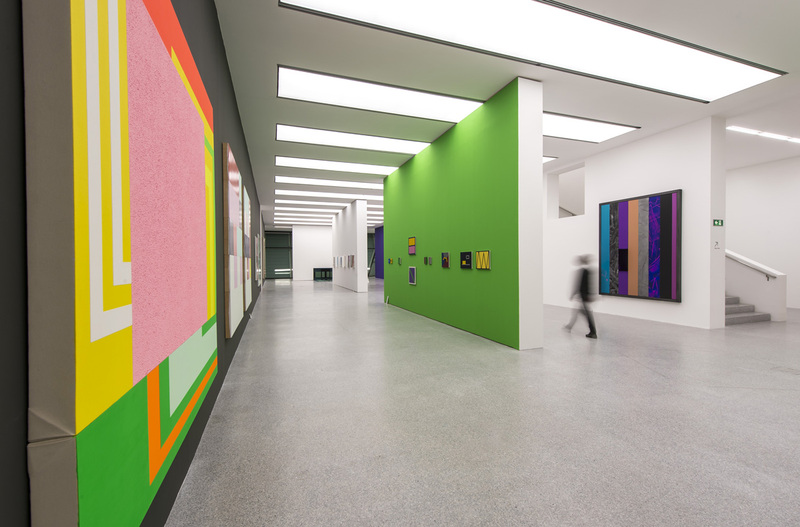 Occasionally other exhibitions may take place on these floors, thematically linked to the Museion collection or which reflect upon the museum as an institution. On the second floor the study collection and the artist book collection are housed. On the fourth floor temporary exhibitions of international contemporary artist’s work are hosted, often as solo shows but in some cases also groups shows. The annual guest curator’s show is held on this floor. On rare occasions between shows, the floor can be rented as a private venue. Not only accommodation, but also workshop and study facilities for artists and curators. The new look designed by the designer Harry Thaler for Museion’s studio house was conceived by the Museion Association, and was made possible by its generous backing. The studio house, the little “cube” beside the museum, was designed by the KSV architecture firm of Berlin as part of the museum complex. The new interior design project aims to highlight its original mission, that of offering not only accommodation, but also workshop and study facilities for artists and curators hosted by the museum. The furniture designed by Thaler for the two floors of the studio house is inspired by the idea of flexibility, but without sacrificing comfort and intimacy. 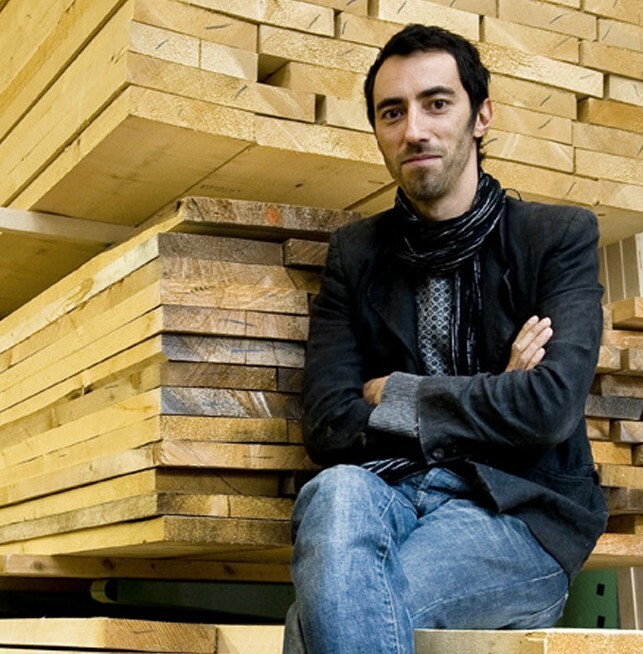 The pieces of furniture designed by Thaler for the studio house are all one-off creations, made by Barth of Bressanone. The week before the opening the designer moved into the studio house to complete the project and add a personal touch to his work, finishing many pieces himself. He also created some new pieces in situ: the house is equipped with a proper workshop in the basement, and this creative work heralds the start of a new phase for the studio house. “This little room will display works from Bolzano’s modern and contemporary art museum so that the people living in this neighbourhood can see them. 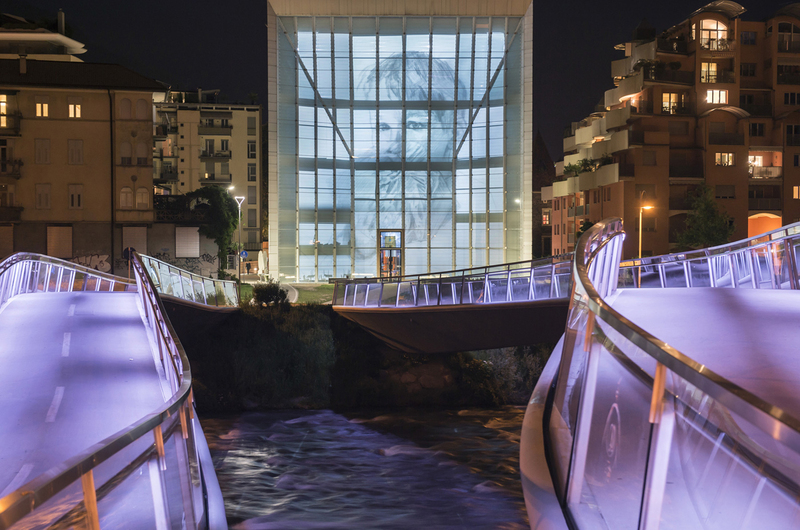 Commissioned by Provincia Autonoma di Bolzano – Alto Adige Italian culture, the work is dedicated to all those who pass by, and look at it, even just for a moment“. 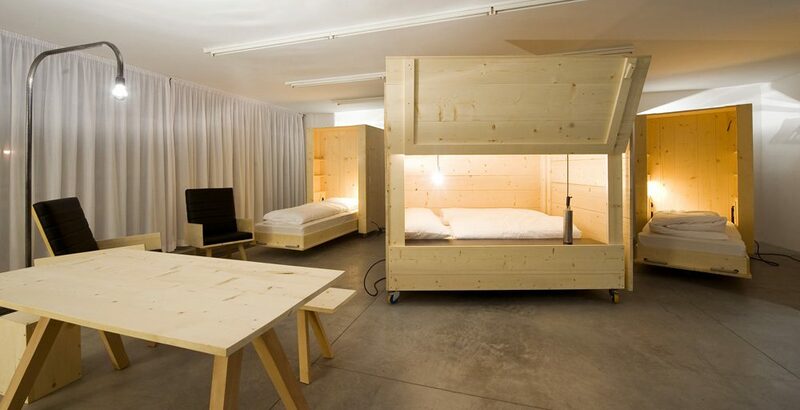 Created in 2003, the Piccolo Museion – Cubo Garutti is a work by Alberto Garutti. 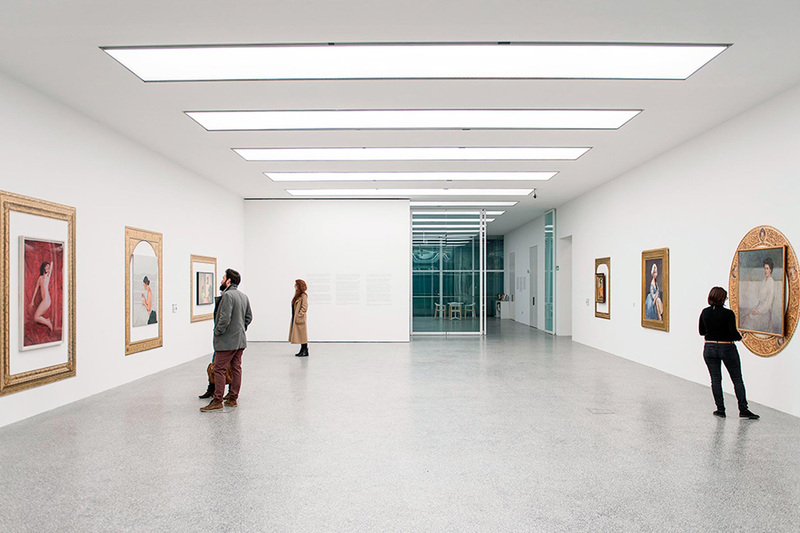 It functions as an outlying venue for Museion in the Don Bosco neighbourhood of Bolzano, and every year, as well as exhibiting works from the Museion collection, it also hosts projects created specifically for the neighbourhood. The address of Cubo Garutti is Via Sassari 17b – Bolzano. Transparency and movement: the sculptural effect that characterises the Museion building springs from the contrast between the weighty, closed metal shell of the side walls and the funnel-shaped, transparent glass façades. When the sun goes down a sophisticated system closes the slats on the two façades, draws back the curtains and activates the 36 video projectors distributed on the different floors of the building, transforming the glass surface into the museum’s fifth exhibition ‘floor’. The façade of Museion is a sort of “transparent membrane” that both divides and creates a point of contact between the urban setting and the museum. It hosts screenings of videos, photos and animations that the artists select to forge a dialogue with Museion’s architectural structure and the urban landscape. The Media Façade combines its captivating dimension and state of the art technology with the impact and concrete presence of a piece of architecture designed to be a prominent feature of the local landscape by both day and night. The two Media Façades can operate simultaneously or alternately, depending on the artistic project in question, opting for the façade that faces the city centre or the other side towards the grassy banks of the Talvera river. 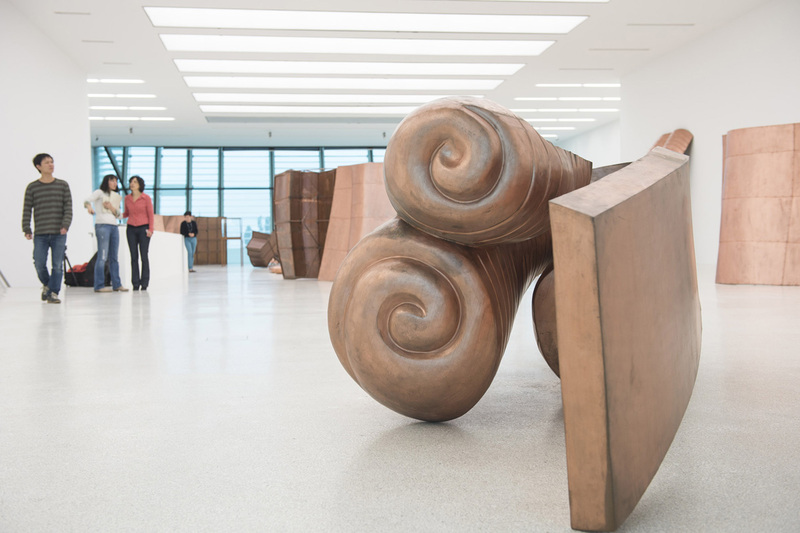 On both sides there is the opportunity to amplify the scope of this art that “escapes” out of Museion, using sound: the benches positioned by both entrances to the museum function as speakers connected to each façade. Museion’s Media Façade thus represents a challenge for artists invited to interact with this alternative exhibition venue – a high-tech venue on a grand scale with a very public presence. Museion underground is an ideal venue for private and company events such as conferences, presentations, projections of videos etc. 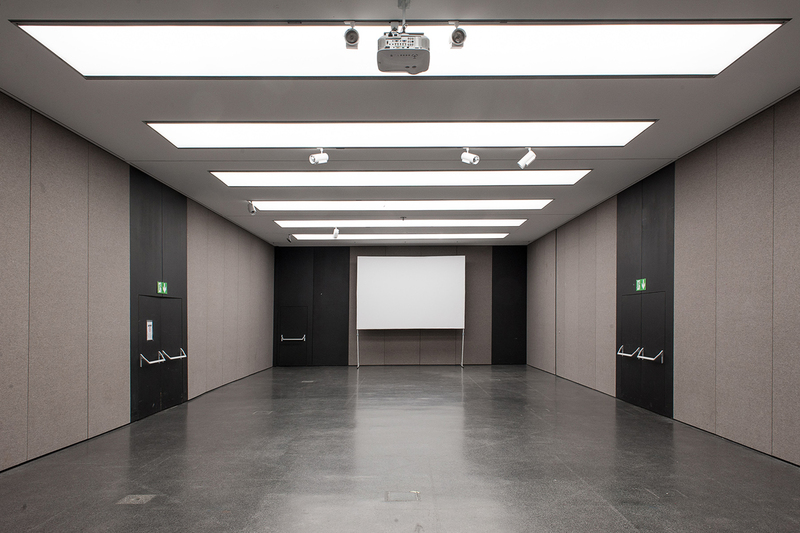 The projection room is used on a regular basis for showing video works of art and the multifunctional room is a perfect place for artistic performances in an enclosed space. Specialised in modern and contemporary art, Museion’s library boasts 25,000 volumes, 50 subscriptions to art journals and more than 400 DVDs. Following an agreement between Fondazione Museion and the Free University of Bolzano, since January 2011 the museum’s collection of books has been hosted in a special section of the university library. This has led to the creation of a highly-specialised centre for the documentation of the visual arts: all the catalogues and monographs on artists, movements and contemporary art exhibitions acquired in the course of Museion’s twenty year history can now be consulted alongside the books belonging to the Faculty of arts and design. The Museion Books & Things is Bolzano’s point of reference for books on art, culture, architecture, design, photography and media. The shop offers a vast range of books for children, as well as publications on life’s pleasures, including food, wine, travel and gardening. There is also a special section devoted to the art of the South Tyrol area. The shop stocks all of Museion’s publications – exhibition catalogues, postcards and art editions. On request, material can be sent anywhere in the world. Look out for our regular special offers and discounts in all the sections of the shop, in particular on books from the prestigious publisher Walther-König. Overlooking the Studio House square, Café Museion is an attractive and inviting spot for a break. Directly connected to Museion Passage, Museion’s “covered square”, the Café’s modern, minimal interior creates a light, airy feel. Run by a young, dynamic team, it is the ideal place for a morning coffee or a light lunch accompanied by a glass of wine from our select list. Toasted sandwiches and snacks are available all day. In the late afternoon the Café turns into a welcoming meeting place to enjoy an aperitif, taking in the view of sunset over the bridges on the Talvera river. Besides being an open and dynamic cultural space, Museion can be transformed into an ideal place to host conferences, meetings, refreshments, congresses etc. An unusual and charming frame, where it is possible to enjoy a particular atmosphere, surrounded by the most vivacious of contemporary artworks, and by an architectonic space unique in its genre, right in the heart of the city of Bolzano. Such an unmatched scenario is enriched by the original luminous bridges, and the transparency of the facades of the building, in an uninterrupted dialogue with the outside.